From this week’s Cardfight Column. 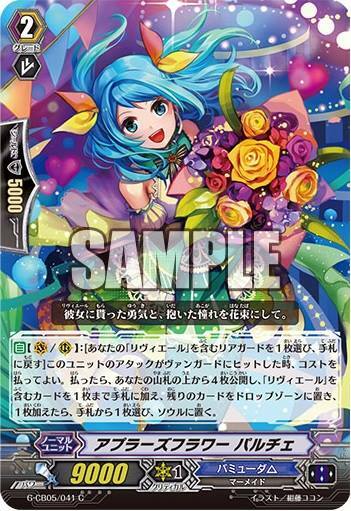 AUTO (VC/RC): [Choose 1 of your “Riviere” Rear-guards, return it to the hand] When this card’s attack hits a Vanguard, you can pay the cost. If you pay it, reveal the top 4 cards of your Deckk, add up to 1 “Riviere” card among them to your hand, place the remainder in the Drop Zone, then if you added 1 card, choose 1 card from your hand, place it into the Soul.